r. Bord served in numerous liturgical roles at Our Lady of Victory Parish, State College PA. He was parish organist from 1980 to 1989; he served as children's choir accompanist for three years and director of the same choir for five more. Since 1989, when he moved from State College, he has been organist at St. Patrick's Church in Nashua NH. 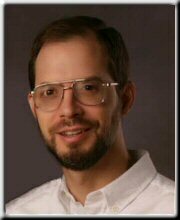 From 1990 to 1993, Mr. Bord was Director of Music at Thomas More College in Merrimack NH, where, in addition to liturgical music responsibilities, he organized seasonal choral concerts and oversaw the publishing of the Thomas More Hymnal. His formal training in organ lasted from 1977 to 1986, including seven semesters of organ at The Pennsylvania State University under June Miller. Liturgical and choral training spanned ten years and included coursework in theory at Penn State. Mr. Bord was awarded a Service Playing Certificate by the American Guild of Organists in 1984. He has written numerous liturgical compositions which have been performed at Our Lady of Victory Church, Thomas More College and St. Patrick's Church. In 1996, together with Gary Penkala, he founded CanticaNOVA Publications, whose goal is to provide "Traditional Music for the Contemporary Church." The company has grown to include music by many prominent composers. The web site, in addition to an Online Catalog, features Musical Musings articles and Liturgical Planning pages.